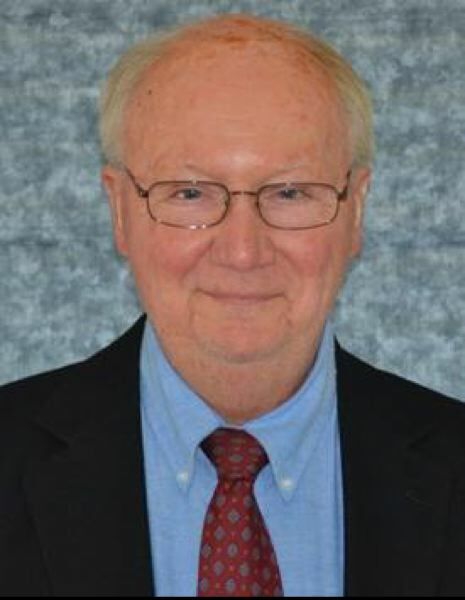 After serving one four-year term, Fairview Mayor Ted Tosterud, 77, is seeking re-election, and Fairview City Councilor Brian Cooper is challenging him for the leadership position. Tosterud has served on Fairview volunteer boards including the Economic Development Advisory Committee, the Municipal Audit Committee and the Utility Rate Review Committee. The Outlook recently spoke with Tosterud about why he is seeking re-election. THE OUTLOOK: Why are you running for mayor? TED TOSTERUD: Because I think I'm the best person to be the mayor of Fairview. If you look at the endorsements, they also believe it's true. TOSTERUD: Because, again, I think I'm the best person for the job. I have done the merger with the (Multnomah County Sheriff's Office). My opponent voted against it (in a 4-1 vote) and it's been a very successful program. We added school lights that aren't even in Fairview. I supported creating a recreation program between the three cities (of Troutdale, Wood Village and Fairview) that fell apart, and now it's a recreation program between the two cities (Wood Village and Fairview). We got $29 million of development coming into Fairview. (Any developments) won't be as large as Amazon or Fedex (in Troutdale), but Fairview will have the potential for smaller businesses. So there'll be some businesses coming into Fairview in the next four years. I want to finish the Main Street on Halsey (project). That's a collaboration with the three cities that's doing very well, Metro (regional government) has funded us, and we're now moving into the design phase. OUTLOOK: What do you think of a plastic bag ban — which you spearheaded — in Fairview? TOSTERUD: I support banning bags in Fairview, even though it fell apart as a three-cities effort. It would have been nice if we could have collaboratively done it together so they would have had the same rules to live by. Now that it's not a three-cities project, I will have a work session on it, and then come up with a resolution very similar to Milwaukie. I will not give up on "ban the bag" because I think that I've turned into an environmentalist. I serve on the League of Oregon Cities' Energy Policy Committee because I've done that in the name of energy and environment. TOSTERUD: We talk it out. We ask for more information. If somebody feels strongly about it, I open it up (for discussion). I'm totally transparent. I had to answer a similar question from the League of Women voters, and when they asked me I said Fairview has always been a very polarized council. We'll vote for something, and they will continue to pick away at it. I don't think anybody's is going to solve it. It's not like it was when I was in business. In business you have two choices when a decision was made: You go along with it — or they showed you the door. When you were done with the meeting you greet your employees, and you support your company's decision, but that's not politics. To be a mayor in today's environment you must lead in issues and concerns, and reach across the aisle. To be a mayor you must get involved with the community, and that means Metro, (Multnomah County), state Legislature and with mayors on the west side (of the Portland metro). We are all trying to create a better Oregon. TOSTERUD: My first one is public safety. The second is to do something with that (railroad bridge on N.E. 223rd Avenue) that should have been taken care of a long time ago. Something is finally starting to happen, and we're doing very, very well. Our parks are going to receive about $200,000. So exciting things are happening with our parks. OUTLOOK: Is there anything else you want to say? TOSTERUD: Just that over the last four years I have improved public safety with the merger. We worked on traffic issues. I have worked on many project that have improved Fairview. All these things were done through transparent meetings with the citizens. Transparency, it's my forte. With my business, I was very transparent, and being transparent to your employees is the same as being transparent with your constituents.